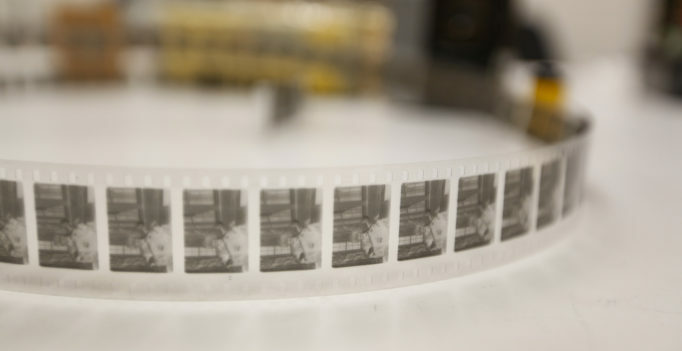 April 17, 2019 The 5th Nitrate Picture Show at the George Eastman Museum, May 3 – 5, 2019, a Preview with a Retrospective of the 4th. The 5th Nitrate Picture Show at the George Eastman Museum, May 3 – 5, 2019, a Preview with a Retrospective of the 4th. In planning the Nitrate Picture Show, the richest opportunity to view vintage prints of films on nitrate stock in the world today, the organizers at the George Eastman House adopted the policy of not announcing the screening schedule in advance. One comes to the festival and views what is offered. 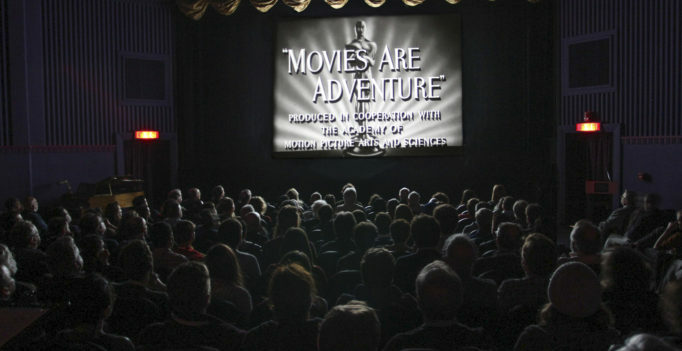 This idea didn’t come from nowhere, since the founder and first curator of the film department at Eastman, James Card, implemented it at the Telluride Festival, which he co-founded in 1974. I was thrilled with this concept when I first attended the Festival in 2017, and it continues to hold its fascination. 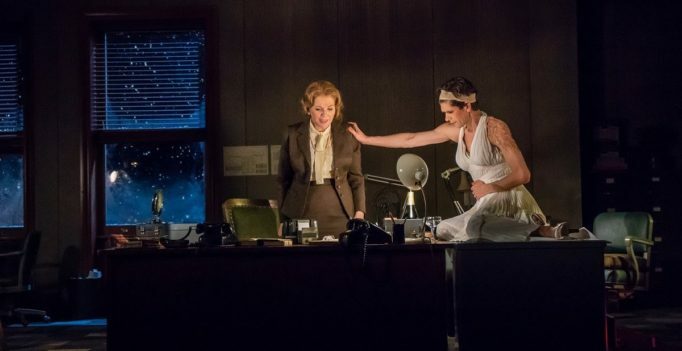 Conflating the myth of Helen of Troy with the story of Norma Jeane Baker, aka Marilyn Monroe, is a terrific idea. Both women were revered for their beauty and lusted after by men far and wide; despite, or probably because of these characteristics, neither enjoyed a very happy life. Two big hits out of three made for a great evening. Sombrerisimo, a total delight, is choreographed by Annabelle Lopez Ochoa, inspired by the surrealist world of René Magritte who famously painted bowler hats. The work was made originally for an all-male cast; this version turns it upside down with Shelby Colona, Jenna Marie, Eila Valls, Gabrielle Sprauve, Dandara Veiga and Melissa Verdecia pulling off a bravura number. Dramatic and innovative, even to the point of changing her name from Angela to something more exotic, Isadora Duncan helped free ballet from restrictions and in doing so became one of the earliest proponents of modern dance. At twenty-one with very little money she sailed on a cattle boat to England and there, at the British Museum, fell for ancient Greek sculpture in a big way. The result was barefoot young women in skimpy clothing dancing with abandon—which drew huge crowds and lots of attention. Tap dancing was once dismissed as lightweight entertainment, for example Fred Astaire, who delighted zillions of people, great art or not. Then came artists including the astonishing Savion Glover; now there is Dorrance Dance, the company that has won numerous awards for pushing tap rhythmically, technically and conceptually. Founded in 2011 by artistic director Michelle Dorrance who became a MacArthur Fellow in 2015, Dorrance Dance blows the lid off the form. There's something timeless, solid and reassuring about attending a concert in Pittsburgh. The place seems contented. "The burghers are industrious" is an old fashioned way you might put it. Citizens seem to take themselves seriously. Businessmen still wear ties. Nobody pushes and shoves, the way New Yorkers do in that elbow war of a city. People make time to talk to each other in line. Nitrate prints from international archives are loaned to the Museum and screened at its historic Dryden Theatre, one of only a few places left in the world where nitrate film can be legally projected due to its inherent safety risks. Support New York Arts. All donations are tax deductible through our fiscal sponsor Fractured Atlas. Support New York Arts. All donations are tax deductible We can't effect our transition to an organization that will bring you original multidisciplinary performances and exhibitions, or the essays, reviews, articles, and interviews the arts deserve without your support. Please donate generously. The Arts Press (parent organization of New York Arts) is a sponsored project of Fractured Atlas, a non-profit arts service organization. Contributions for the charitable purposes of The Arts Press must be made payable to Fractured Atlas only and are tax-deductible to the extent permitted by law. Please send contributions other than those made online, i.e. by check, to Michael Miller, Publisher, The Arts Press, 127 East 91st Street, New York New York, 10128. Checks should be made payable to Fractured Atlas, with The Arts Press in the memo line. Mailings go out approximately every month, with occasional newsbreaks about special events. YOUR INFORMATION WILL NOT BE SHARED OR SOLD. IT WILL REMAIN STRICTLY CONFIDENTIAL. Arthur Penn saw his chance in a proposal that the Hungarian writer/director George Tabori and his wife Viveca Lindfors made to the board of directors of the Berkshire Playhouse in Stockbridge, where Penn and his friend and colleague William Gibson happened to live. The Playhouse had operated for decades as a typical summer stock theater, often featuring stars in leading roles, but what was known as “The Straw Hat Circuit” was fading in popularity and the theater’s board of directors, hearing Tabori and Lindfors’ proposal, decided to try a different approach to summer theater. Reinhold Glière was fortunate to thrive under Soviet Communism. A long-limbed bardic style, featuring haunting melodies evoking the Russian ecclesiastical past, ruffled no political feathers. Nor did velvety explorations of Scriabin-influenced chromaticism. He was never purged. But Glière paid a price for fame in the world of democracy and commerce, it would seem. His greatest work, the 1912 Mahler-length Symphony No. 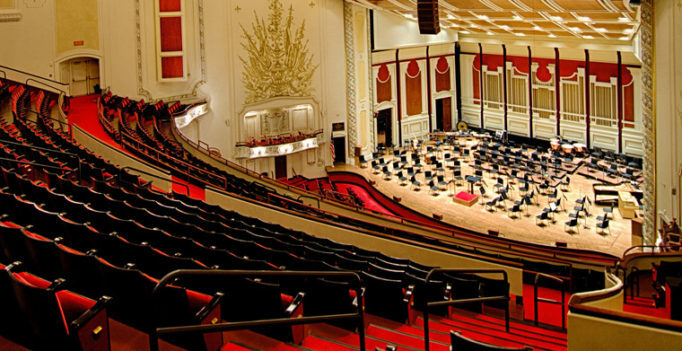 3, “Il’ya Muromets”, was deemed “too long” for the concert hall in America. To ensure its presentation, Leopold Stokowski persuaded the composer to pare it down drastically, and it was in this incomplete condition that the work took root in Philadelphia and in American ears. Allyn Burrows, Artistic Director of Shakespeare and Company, talks to Michael Miller about the 2018 season, directing, acting and actors, and, of course, Shakespeare. With Shakespeare and Company’s Winter Studio Festival of Plays drawing to a belated conclusion, because of a fierce winter storm, and the press announcement of the 2019 season coming up, it seems a particularly opportune time to publish the Podcast of my interview with Artistic Director Allyn Burrows about the highly successful 2018 season. “Let me please introduce myself. I am a gentleman of wealth and taste. And I laid traps for troubadours….” So goes the Rolling Stones song, Sympathy for the Devil. Danish audiences never quite knew what to make of Rued Langgaard, at once romantic composer and obsessive throwback to apocalyptic Christianity. His Sixth Symphony, officially termed “The Heaven-Rending,” later came to be known as “The Antichrist.” The Danes, hearing the struggle in his music and perhaps a bit fundamentalist at the time, were never sure on which side Langgaard stood! Langgaard was passionately convinced Satan operated in modern life as power behind the scenes, devilishly pulling the strings of music, culture and government—and was ultimately responsible for the First World War. A special culprit and convert to this evil, in Langgaard’s eyes, was Carl Nielsen, the celebrated Danish composer of his day, whose modernism and humanism Langgaard alternately copied and excoriated. These views and other personal eccentricities, plus music which over time gradually became episodic and minimalistic, ensured Langgaard would remain unpopular in his home country. The Boston Lyric Opera recently completed its very successful run of Tod Machover’s new opera, Schoenberg in Hollywood, libretto by Simon Robson. Returning from out of town, I was fortunate to attend the final performance, Sunday, November 18th.